This stunning and secluded two story walkout home is nestled in the small community of Pewee Valley. You'll be only minutes from the Gene Snyder Expressway and I-64 & I-71 interstates. 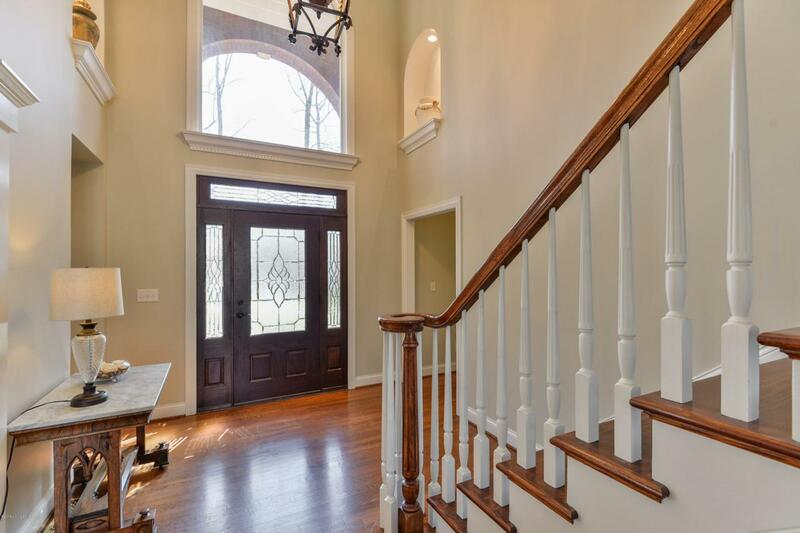 This home features beautiful finishes throughout. On the first floor you'll find a study, two story foyer, large inviting great room with custom built-in bookcases, a gas fireplace, two large half palladium windows which overlook the pool and wooded lot. There are plenty of windows letting in natural light. The kitchen features custom cherry cabinets, with granite and quartz countertops, complete with stainless steel appliances. There is also an eat-in area with a bar. Off the kitchen is the hearth room with gas fireplace, second set of palladium windows with a private screened porch.Also connected to the hearth room is access to large concrete patio with underneath drainage system. The first floor laundry, half bath, and the 4 car garage are all off the kitchen. The first floor master is tucked away on the opposite side of house. The master has hardwood floors, double octagon trey ceilings, and leads to a concrete patio deck. The updated master bath features granite vanities, marble floors, a large marble shower, soaking tub, and dual walk-in closets. 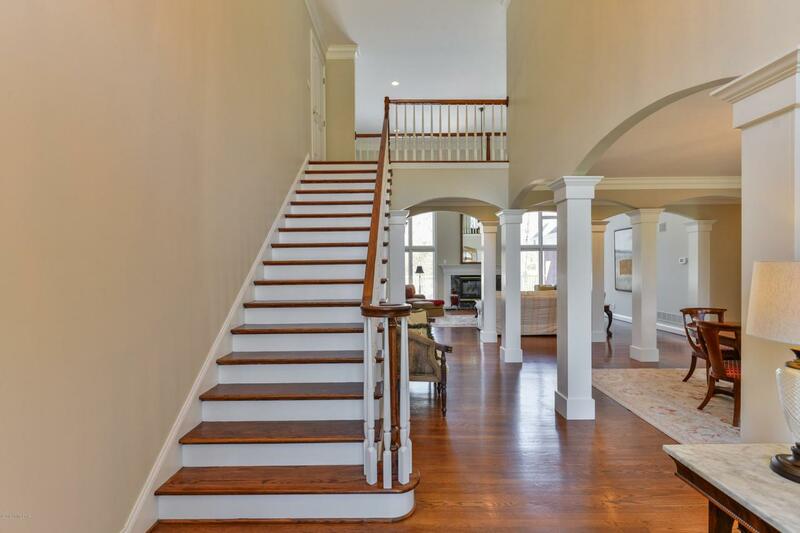 On the second floor are four large bedrooms, two full baths with a catwalk overlooking the great room. In the walk-out lower level there is a family room with 3 rd gas fireplace, recreation room, wet bar, full bath, and extra room with windows (non egress) currently used as a bedroom. You'll also find the exercise room. Now walk out to your private in-ground pool on the large patio. The home sits on a 1 acre wooded lot with lush landscaping, and features a fire pit area, circular drive, and a security system.